Priced to sell! Property is being sold AS IS. Bring your decorating ideas to this brick home in the desirable Deerpath subdivision. 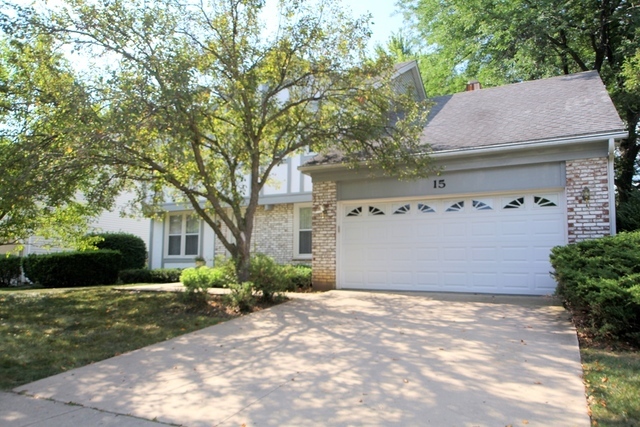 Home is just minutes from the park, schools, water park, library, shopping, restaurants, Metra and so much MORE! Formal living and dining rooms. Eat-in kitchen with a sliding glass door to the patio and yard. Family room with wood burning fireplace. First floor office/den, half bath and a laundry room complete the main level. Double door entry to the master suite featuring a private bath with a standing shower. Three additional bedrooms and full bathroom complete the upstairs. Finished basement with wet bar for additional living space.